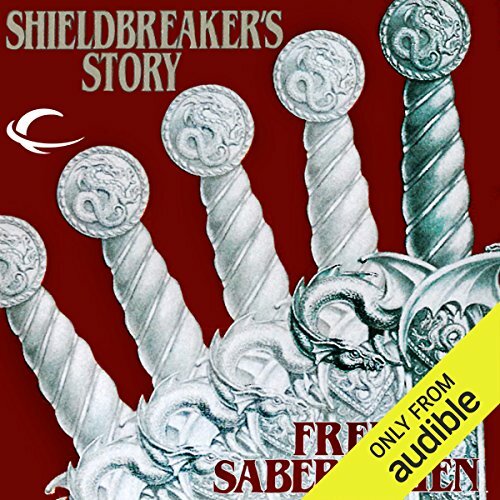 Returning to the milieu of his Swords trilogy, Saberhagen offers a new scenario. The gods have withdrawn from the human world and the 12 Swords of Power they had forged are now scattered, lost and hidden. The weapons are still coveted, though, by men like Baron Amintor, who has lost one kingdom and now sees them as the means to another. No scruples stop him from stealing the sword Woundhealer from the White Temple, where its powers were offered to cure all pilgrims. His bad luck, however, is to have crossed Prince Mark, who is desperate for Woundhealer's help in treating his blind, troubled son. 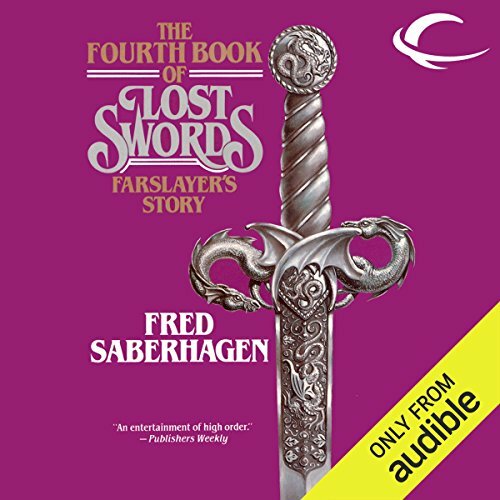 The running battle between Mark and Amintor, their allies, their wizards, and their swords, is spun out in a light, pleasant adventure that benefits greatly from Saberhagen's narrative gifts as the various strands leapfrog forward, keeping the reader off balance but constantly intrigued. 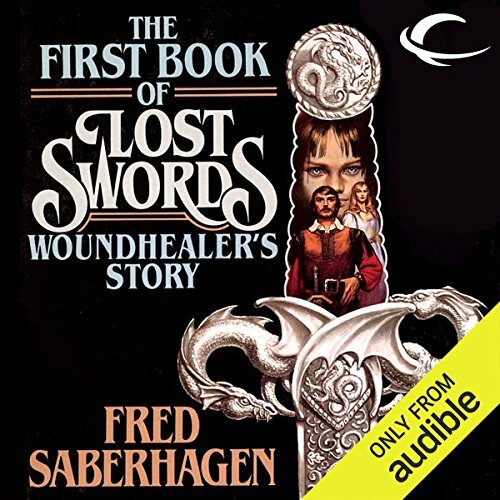 ©1986 Fred Saberhagen (P)2012 Audible, Inc. 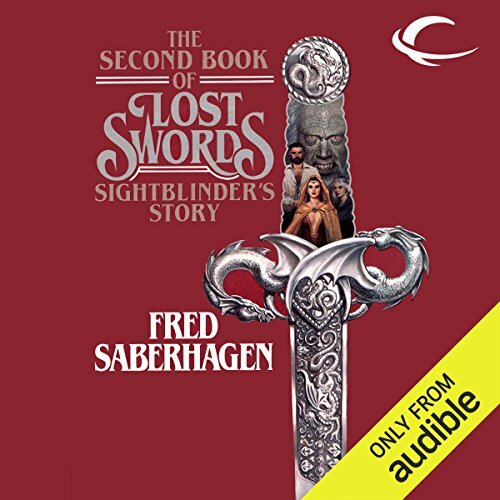 Returning to the milieu of his Swords trilogy, Saberhagen offers a new scenario. The gods have withdrawn from the human world and the 12 Swords of Power they had forged are now scattered, lost and hidden. The weapons are still coveted, though, by men like Baron Amintor, who has lost one kingdom and now sees them as the means to another. No scruples stop him from stealing the sword Woundhealer from the White Temple, where its powers were offered to cure all pilgrims. Choose Your Sword, And Step Forward Into Destiny! Long ago, the gods forged Twelve Swords of Power and threw them on the gameboard of life to watch men scramble. But they had forged too well: The Swords could kill the gods themselves. Now the gods gone, the Swords are scattered across the land, some held by those of good heart...others by those whose purposes are evil...and one, Sightblinder, is held by Arnfinn, a young country boy who knows nothing of the Tale of Swords or of Sightblinder's power; to make the viewer see that which he most desires - or most fears. The gods forged the Twelve Swords of Power; now the gods have been destroyed by their own handiwork. 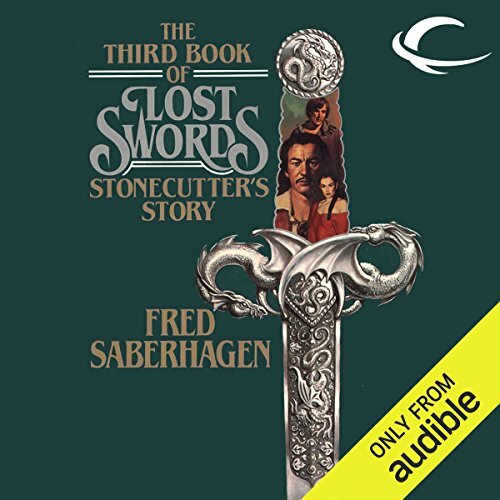 The Swords are loose in the world, falling into the hands of human beings, changing human lives for good and ill. Young Kasimir was the custodian of Stonecutter, the sword which can hew mountains and split diamonds with equal ease - until he discovers Stonecutter has been stolen. This is more along the lines of Sherlock Holmes..
Long, long ago, the Gods forged Twelve Swords of Power, each with a unique and deadly quality. They forged too well, for the swords could kill the Gods themselves. Then the swords were lost, scattered across the land; and many are they, both good and evil, who are desperate to find them again. This story is of Farslayer, the sword that can kill from across an entire world. The game is fierce; the prize is the sword. Prince Murat of Culm possesses Coinspinner, the Sword of Chance which brings untold good fortune to its owner. 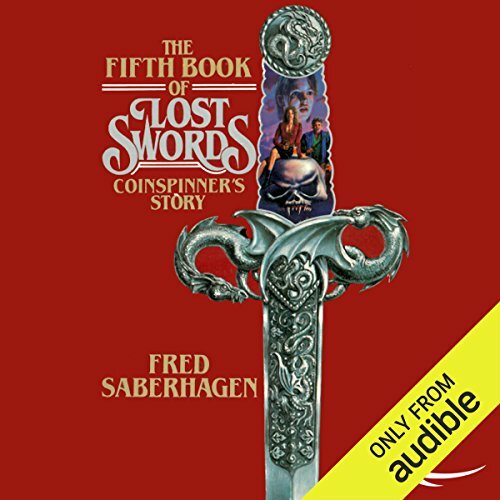 Can Coinspinner aid Murat in his efforts to acquire Woundhealer, the Sword of healing Murat’s ruler desperately needs? Or through lack of wit and Coinspinner’s propensity to whimsically change owners will Murat find himself caught up in different quest? Prince Adrian, away at a school for magic, is assigned a test of his abilities. More challenges than a school trial await him. Now the great Mindsword is in play. Murat of Culm with the help of Coinspinner has located the Blade. 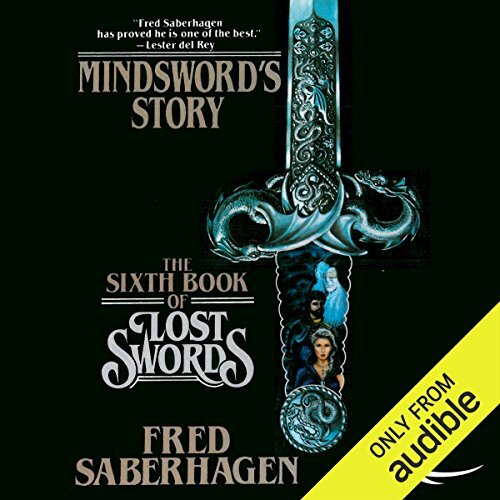 Knowing Mindsword brings blind devotion to whoever wields it, Murat plans to keep the Sword sheathed until he can gift it to the beautiful Princess Kristin of Tasavalta to win her free affections and to make reparation for a grave past transgression. The power of the Sword and the intentions of the Murat’s son and advisors make for twists and turns in Murat’s once honorable plan. 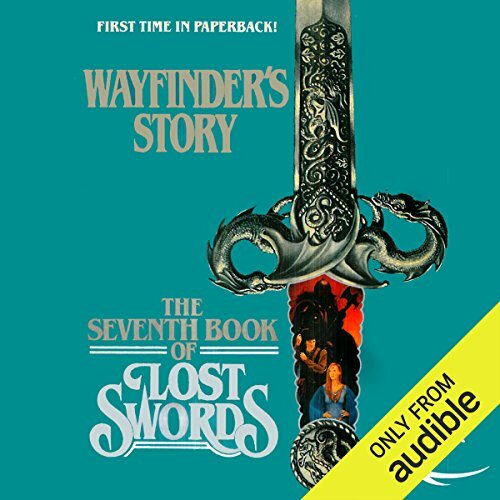 Wayfinder, the Sword of Wisdom, finds its way into the hands of a simple vine-grower in search of the perfect wife. Mark searches desperately for Woundhealer, the Sword that will cure his Princess. The evil wizard Wood would have Woundhealer and Wayfinder. For what purpose? At what price? Yambu and Zoltan continue their pilgrimage, hoping to encounter Yambu’s one-time husband, the enigmatic Emperor. Quests and battles. Magic and wit. All here as Wayfinder leads you to adventure. Long ago, the gods forged 12 Swords of Power and threw them on the gameboard of life for greedy mortals to scramble over. Too late, the gods learned that they had forged too well; the Swords could kill the gods themselves. Now, ages later, the Swords are back in human hands, as powerful as ever. Vilkata the Dark King returns from exile seeking revenge on those who defeated him. His first goal is the vault in which his enemy Prince Mark has placed the remaining Swords; with these in hand, none can oppose his rule. Only one untested warrior stands in his way: 14-year-old Prince Stephen, with Shieldbreaker in hand.